Phil Hey - Birthday Party at the Dakota this weekend! Officially, this is Art-a-Whirl weekend in Northeast Minneapolis, but you might as well call it Jazz-a-Whirl in the Twin Cities. Now that spring seems to have settled in for good (meaning, til summer arrives in a few weeks), there’s no excuse to not get out and enjoy sunshine, flowers, and some cool gigs: A jazzy birthday at the AQ for one of our veteran drummers and bandleaders; a CD celebration for one of our longest (not continuously) running jazz collectives; a collaboration between one of our favorite songbirds and one of the most versatile hornmen in the metro…. And much more. Friday, May 17. 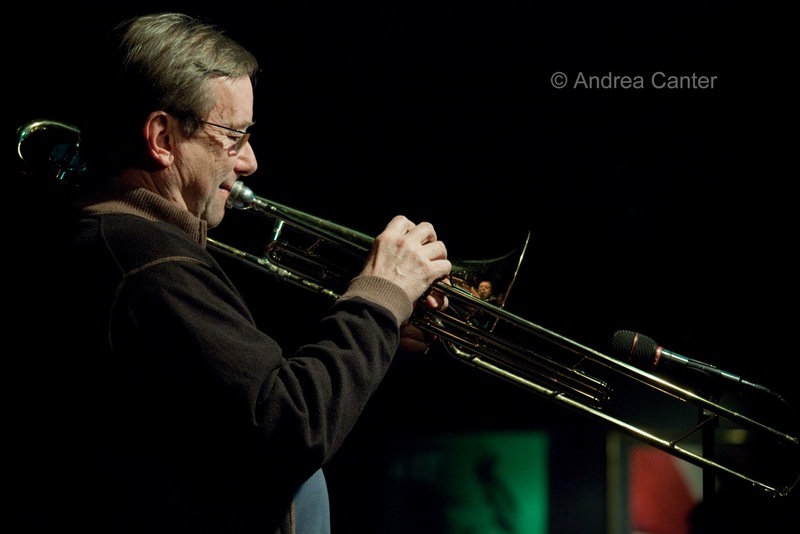 The Black Dog hosts brass partners Donald Washington and Brad Bellows, sax and trombone, and their popular quartet. Early arrival recommended given the small space and opportunity to enjoy some tasty bar food and a great beer selection. Come really early and enjoy Todd Harper on keys. Friday-Saturday, May 17-18. 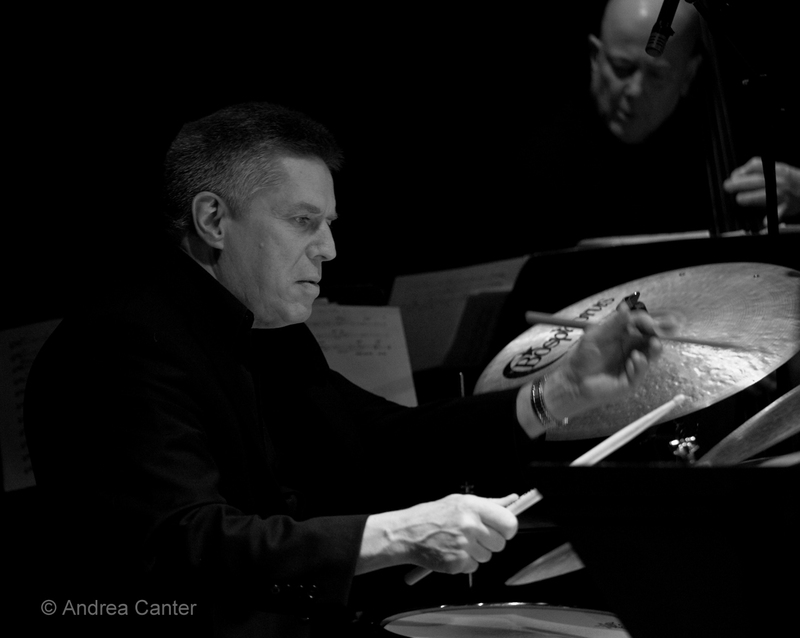 Esteemed drummer and bandleader Phil Hey isn’t keeping his age a secret. It’s the big 6-0 for the veteran of Dewey Redman and Stacey Kent, as well as his own Phil Hey Quartet and Pete Whitman’s X-Tet. 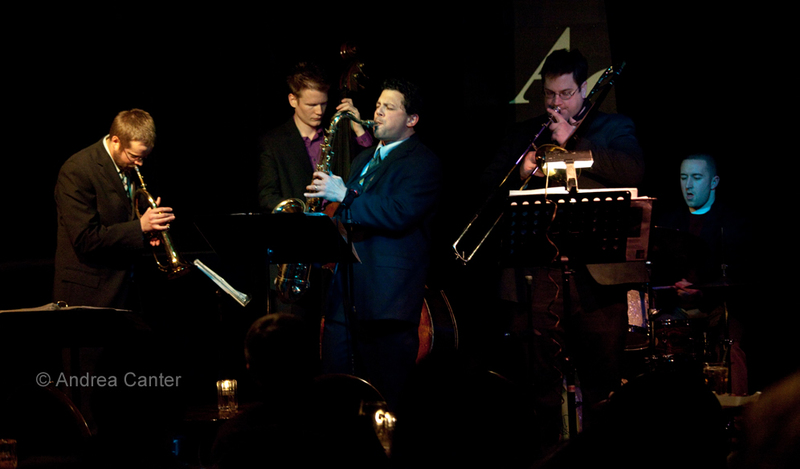 Come to the Artists Quarter this weekend as Phil and his long-running quartet take the club apart with some of the best post-bop magic to be found anywhere, anytime. Saturday, May 18. Too many options tonight. 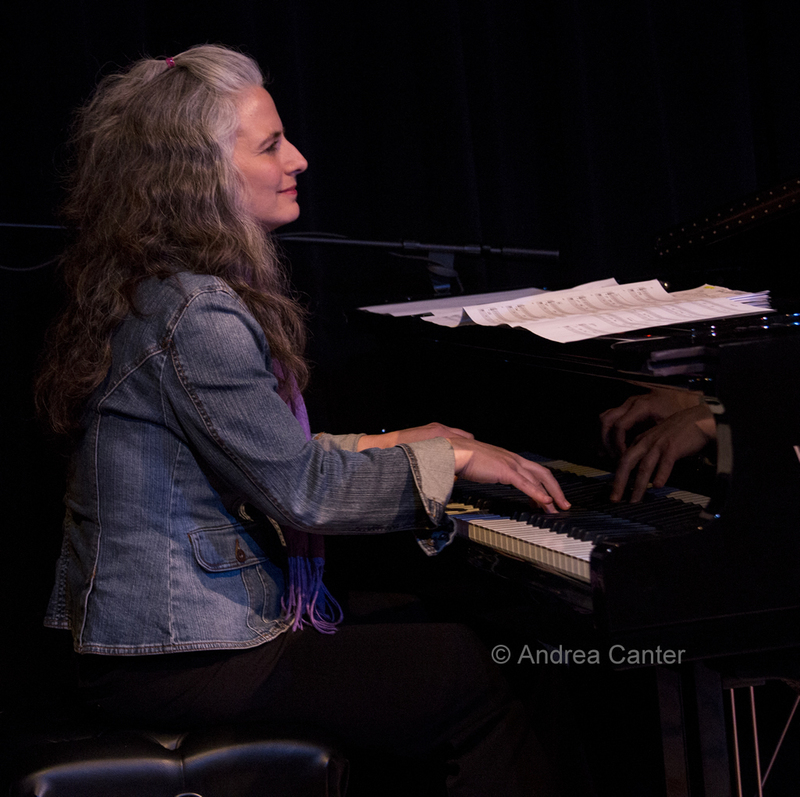 Jazz @ St. Barney’s (St. Barnabas Center for the Arts) closes its concert season in style with the Mary Louise Knutson Trio, featuring Chris Bates and Jay Epstein backing one of the most engaging pianists/composers in the region. 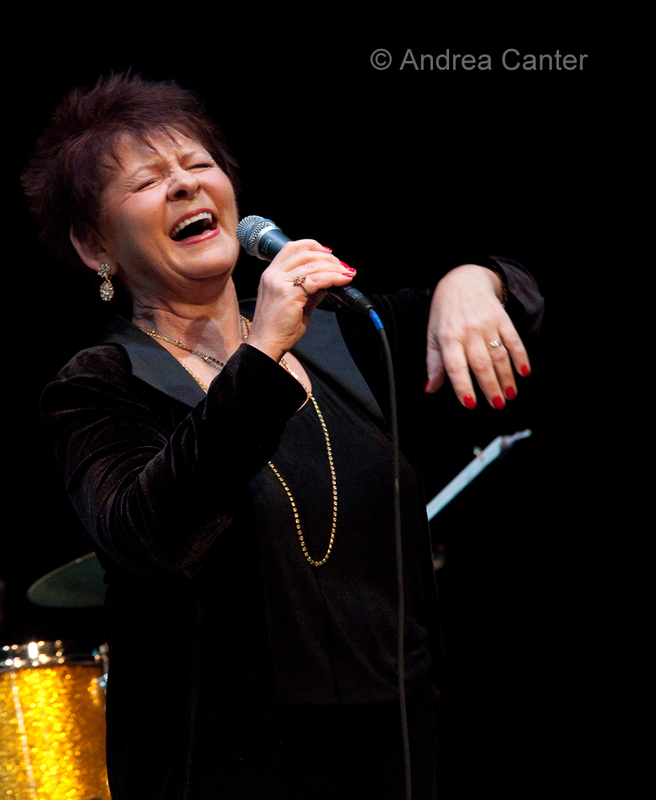 Back recently from her second spring tour with the Doc Severinsen Big Band, Mary Louise is probably more than ready to work some trio magic, drawing from her highly successful In the Bubble and beyond. At the Dakota, two favorites reunite for an evening of soulful, bluesy, jazzy music – Ginger Commodore and Dennis Spears make up half of Moore by Four, but as a duo they are equally dynamic and entertaining. Better make a reservation! And over at the Riverview Wine Bar, Dean Magraw does a rare solo night. On his own, Dean is likely to cover much of the genre we call “music” – folk, blues, jazz, world rhythms, even a classical phrase or two, and often you’ll think he’s overdubbing himself. But really, it is just Dean and ten fingers. Magic fingers. Sunday, May 19. Twenty years ago, the Illicit Sextet released its debut recording, Chapter One. 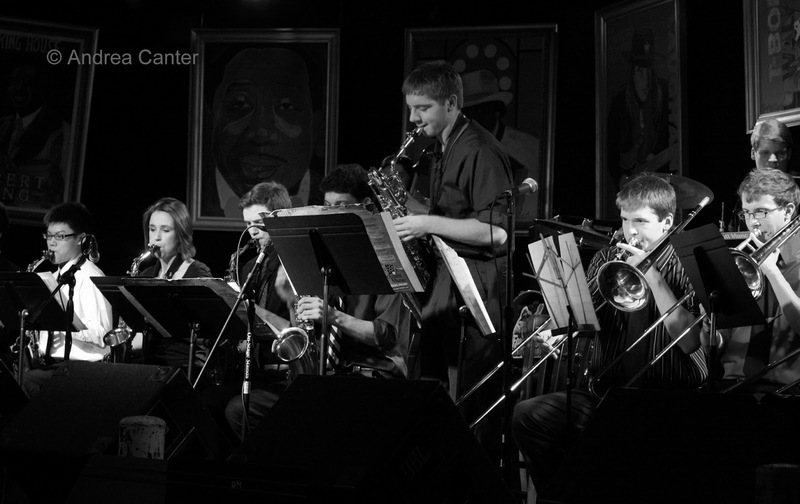 A long hiatus and many recessions later, the band has recorded again, dubbed Chapter Eleven, which they will celebrate at Jazz Central as part of the Jazz From J to Z concert season sponsored by the Twin Cities Jazz Society. Dedicated to original compositions before that became a popular mission for jazz bands, the ensemble—Steve Kenny, Paul Harper, David Roos, Chris Lomheim, Tom Pieper and Nathan Norman—sounds better than ever and their compositions soar. Remember, Jazz Central is a small space, great for sonic intimacy but plan to arrive early as there’s room for only about 50-60. (Doors at 6:30, show at 7 pm). 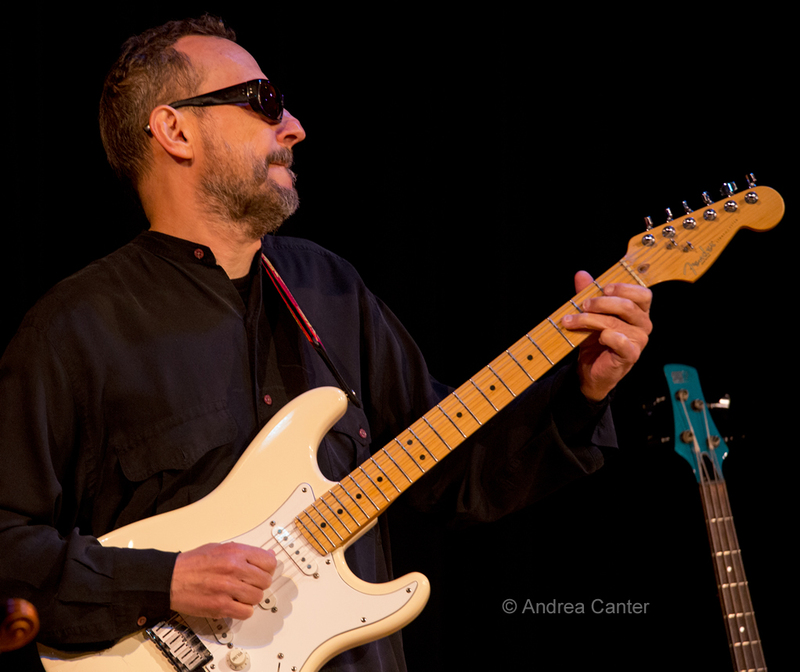 About two months ago, British jazz guitar giant Martin Taylor was in town with the International Guitar Night touring ensemble, and he was indeed a giant on the six-string. He’s back at the Dakota with Grammy winner/Paul McCartney’s lead guitarist Lawrence Juber for a night of acoustic ecstasy. Monday, May 20. 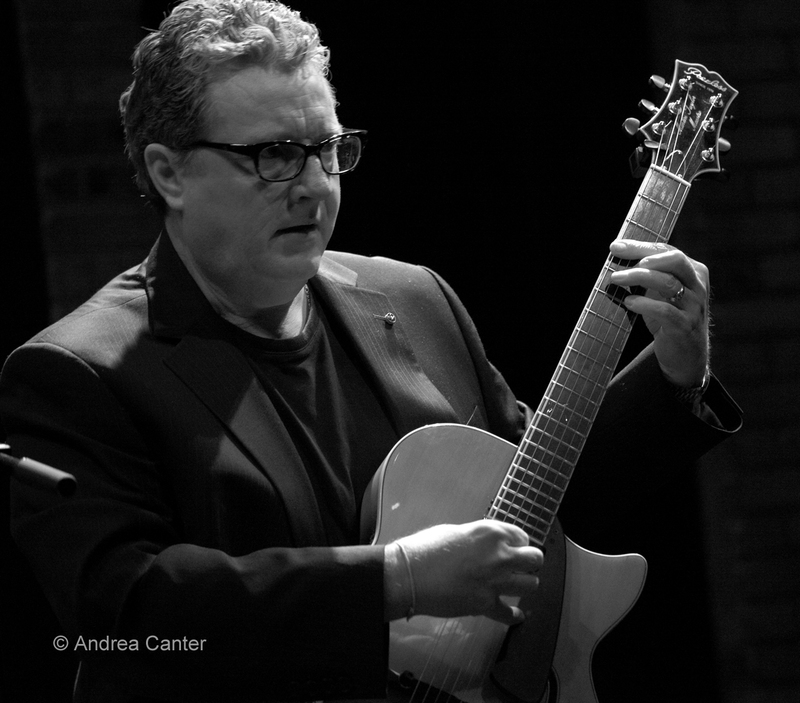 A new wrinkle in the hot club scene, the Parisota Trio features Parisota Hot club veteran guitarist Robb Henry with bassist Keith Boyles and drummer Jay Epstein. Expect the music to swing like mad. Tuesday, May 21. The Dakota hosts one of the month’s most anticipated collaborations, bringing together star vocalist Connie Evingson and genre-bending trumpeter Charles Lazarus and his quartet for an evening of “summer samba.” Both have covered Brazilian music, while Connie is well known for her turns at hot club swing, classic jazz standards, and the songs of the Beatles, Peggy Lee, and Dave Frishberg; Charles has been a part of the Minnesota Orchestra (remember them?) 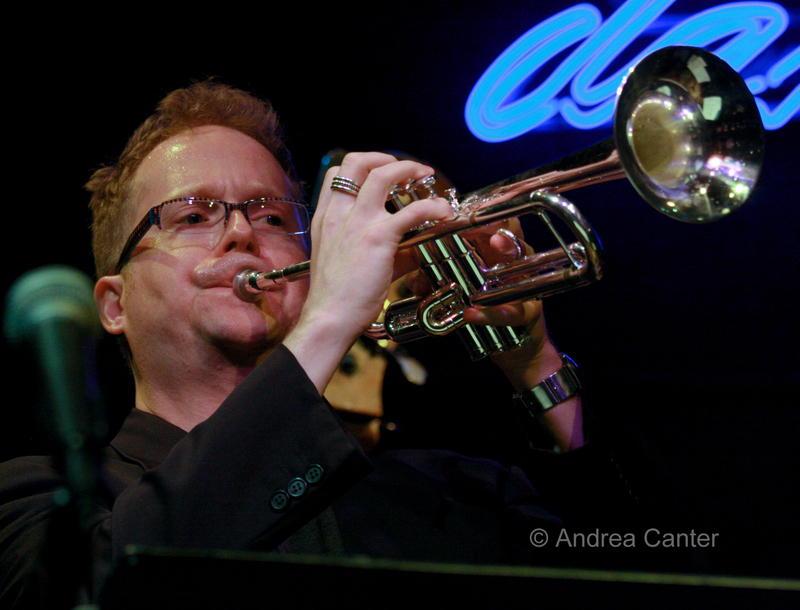 as well as leader of his own jazz ensembles, covering world-wide inspirations. Wednesday, May 22. Brass is back! Snowblind returns to the Artists Quarter tonight, with the best of the younger generation of local jazzers—Adam Rossmiller, Scott Agster, Shilad Sen, Graydon Peterson and Reid Kennedy. Always smoldering arrangements and new compositions. Come early for Steve Kenny and the Bastids, featuring young Will Kjeer on piano, no cover at 7 pm. Thursday, May 23. They don’t play that often but when they do… The Enormous Quartet (Chris Thomson, Chris Bates, Park Evans, Joey VanPhillips) will somehow squeeze into the “stage” area at Barbette, bringing some new spins to the music of the Flaming Lips, The Police, Charles Mingus, Kevin Drew, Arovane, Thom Yorke, Sting, and of course originals from the guys themselves. It’s one of those infrequent vocal nights at the Artists Quarter, with Vicky Mountain serving up a variety of standards and pop hits, all jazzified, with the Chris Lomheim Trio. Maybe Vicky will toss in some of the Jimmy VanHeusen tunes that were such a hit a few months ago at the Bloomington Black Box!